For my first project, I don’t think I could have picked an easier tutorial. 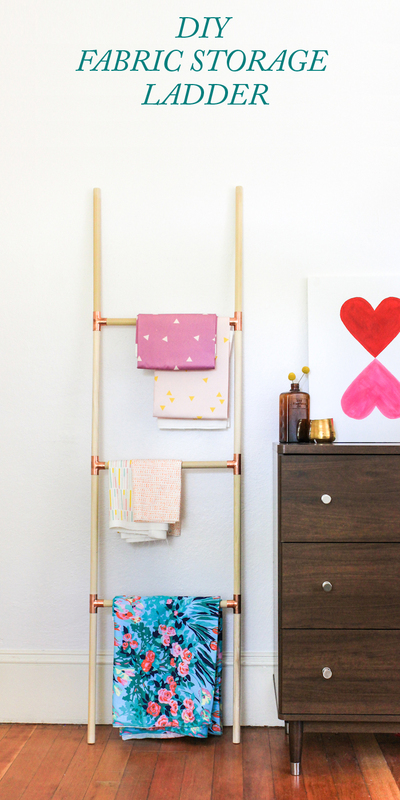 I found this DIY Blanket Ladder tutorial by Maxwell Ryan of Apartment Therapy and just fell in love. But I since I don’t have that many blankets in our home, I thought I’d make one for fabric storage instead! One difference in mine is that I made my dowels all the same size. Since I’ll be using it for fabric storage, I wanted an extra rung instead of extra space at the bottom like in the original tutorial. I also did not use any glue, and so far so good. I may go back in and add glue later if I notice it not holding up so well. So what do you think?! Have you tried this project before? What are some pins that you’re itching to try?